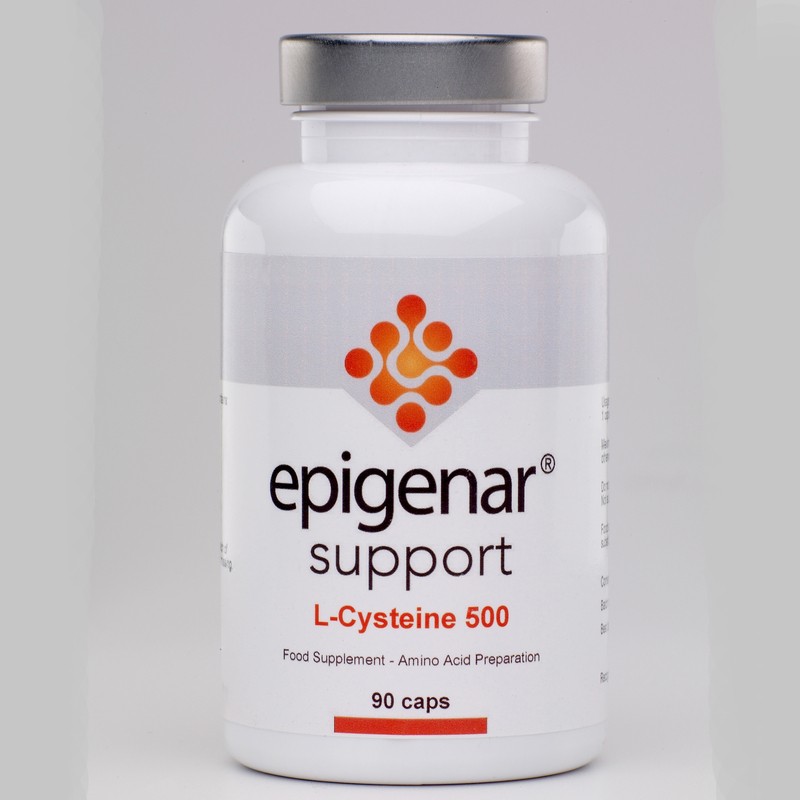 Epigenar L-Cysteine is an essential sulphur containing amino acid that is involved in the support the growth of connective tissue present in the skin, tendons, ligaments, cartilage, joints and bones and liver processes. Cysteine is an essential sulphur containing amino acid which is a component of glutathione. The body’s ability to synthesize glutathione depends on the availability of cysteine, as the other components, glutamic acid and glycine, are generally more plentiful. L-Cysteine is involved in the biochemical processes that support the growth of connective tissue present in the skin, tendons, ligaments, cartilage, joints and bones and is also important for supporting Phase II liver processes.